Hello and welcome back to my blog. I have couple of gift card pockets to share with you today. 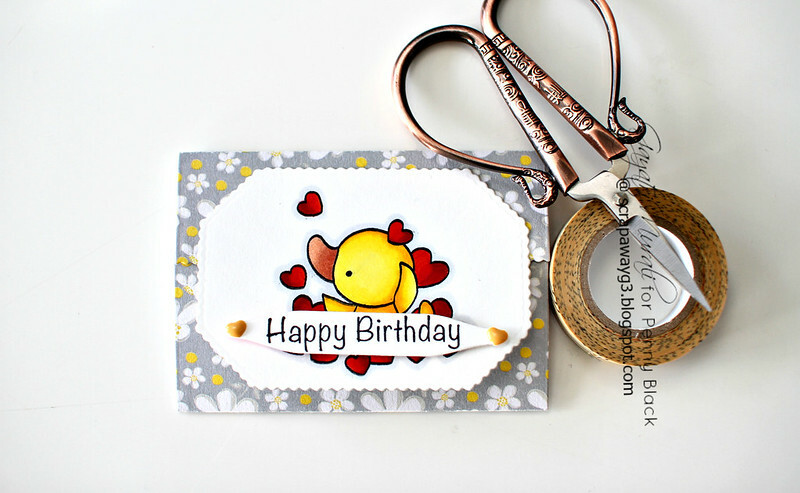 These are made using Penny Black Gift Card Pocket die set and Buddy and Duck stamp set. I love the gift card pocket die set. The set not only had the die to die cut the gift card pocket but also all the decorating elements in it. One does not need a stamp set to decorate the pocket at all. You will need just the sentiment and probably inks to sponge on the element and assemble or just die cut them using pattern papers. 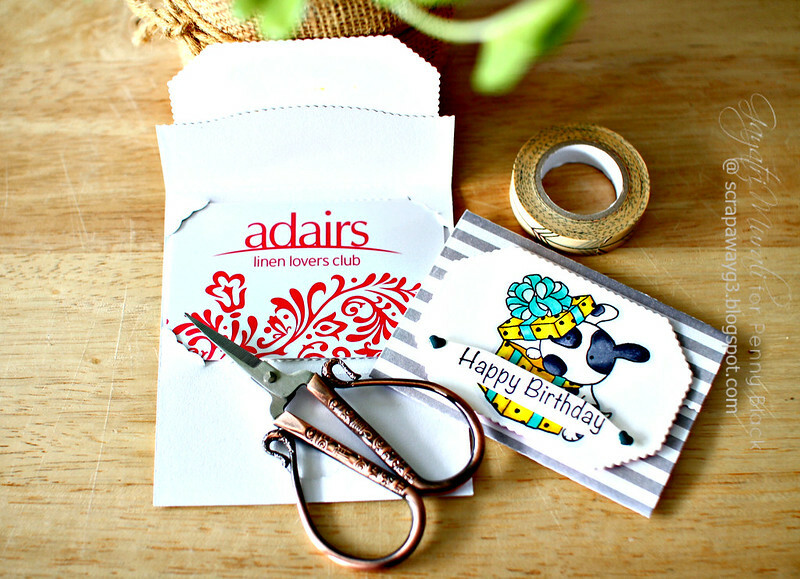 Alternatively this pocket can be added inside regular card and just tuck in the gift card in the slits. Options are endless. Here is my first gift card pocket. 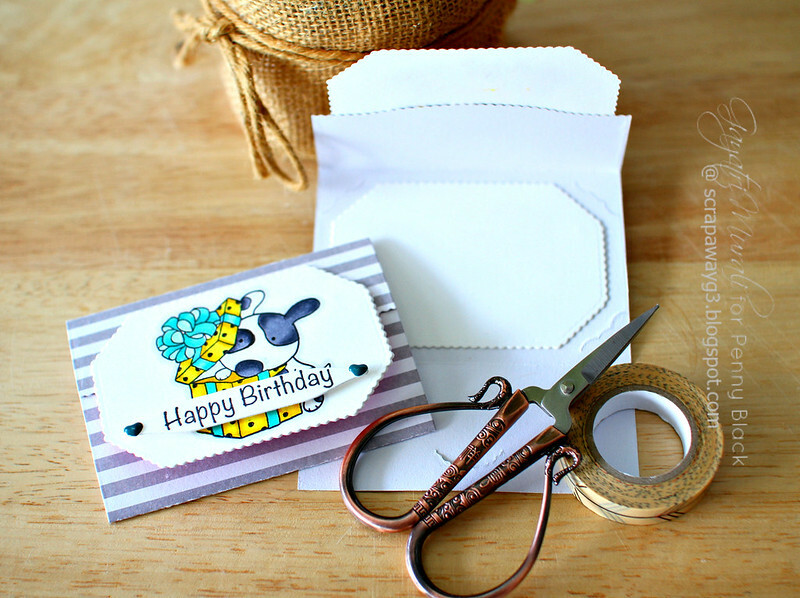 I die cut the gift card pocket using the grey striped pattern paper from Beau Jardin paper pad. The die actually scores your folds. So that was pretty easy to assemble. The scallop panel on the top is also from the Gift Card die set die cut using white cardstock. I stamped the image from Buddy and Duck stamp set and copic coloured the image. 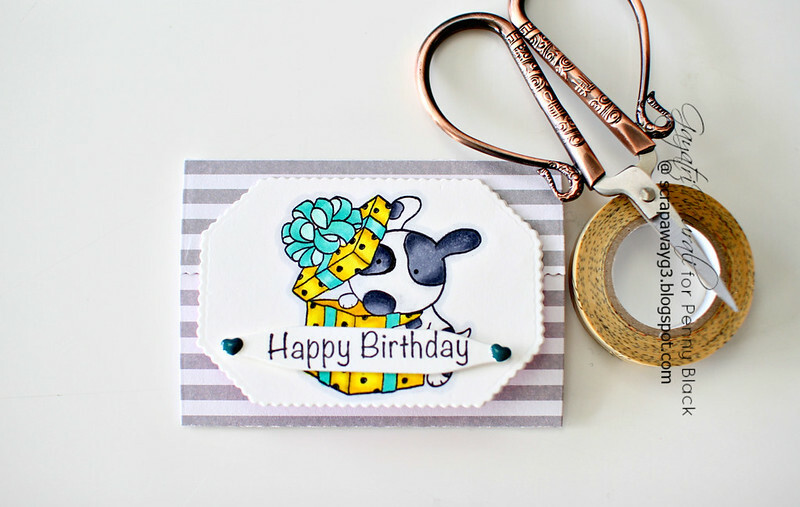 The sentiment also from the same stamp set is stamped on a white die cut also from Gift Card Pocket die set. Embellished with enamel dots. Simple and easy to make. For the second pocket, I used another pattern paper from Beau Jardin paper pad. Another image from Buddy and Duck stamp set on the white scallop panel. Otherwise everything is all the same as the previous pocket. Here are both of them together. Inside the pocket, I die cut another scallop panel and adhered. This panel is used to write down your personal message. I slipped in my gift card on top of the panel. So when the person opens, the pocket, they see the gift card first, then when they remove the gift card, there is the personal message. 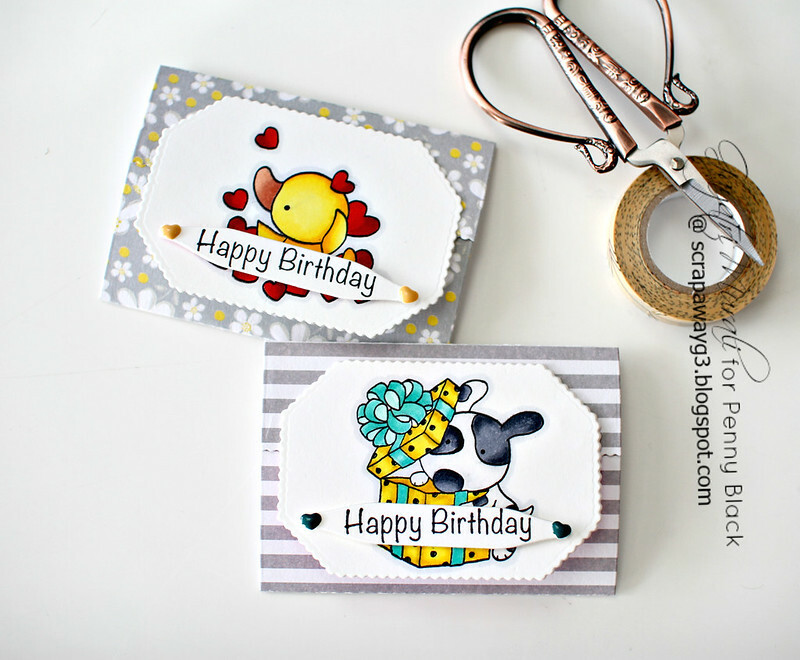 Hope you like these adorable gift card pockets suing Penny Black die set and stamp. Please ignore the marks on the board on the background. I know it can be distracting. I had this board just for craft but looks like somebody at home has used it for its original purpose without my knowledge! I will need to buy another one for craft exclusive now and hide it! Thanks for stopping by today. Have a lovely day! I saw your cards on Instagram and started following you. I love your style of card making. They're very clean cut. I will be following your blog as well. Do you have a YouTube channel? Also, I love the scissors you have, can you tell me where I can buy it? Thank you and look forward to your cards. Gorgeous idea Gayatri. They are so pretty.